The introduction of product images, featuring the size and form, provide you with an accurate representation of the product you will be receiving. 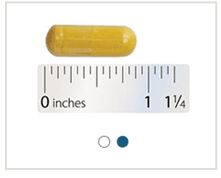 Favorite products allow you to easily access, or re-order your preferred Integrative Therapeutics products online. 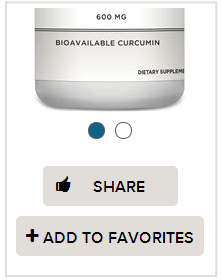 To add to your favorite products list, sign in to IntegrativePro.com, and click the “Add To Favorites” button found on each product. Your list of favorites is then saved within “My Account” making it easier to navigate to your favorite products. This feature is available exclusively to those with an IntegrativePro.com account. While we do not ship orders into Canada, we often are asked which products can be found through our Canadian partners. If a product is available, you will now see “Available in Canada” called out on each product page. 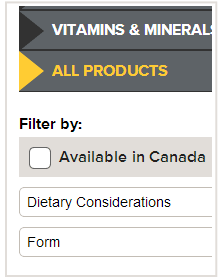 You can also use the “Available in Canada” filtering option within the product catalog to narrow your selection. If you are interested in placing an order within, or shipping to, Canada – please contact our Vancouver office at 800.644.3211.